. : Big Events :: Ski XCOttawa.ca :: Skiing in Ottawa and Gatineau Park :. Big sports events are always exciting for me. I always try to seize any opportunity to go to a big event and usually find them extremely motivational. 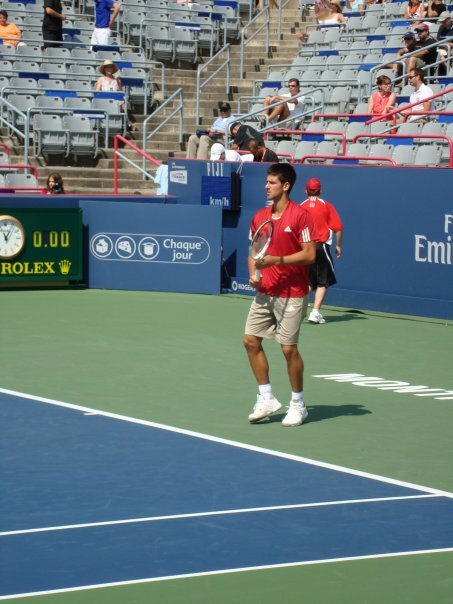 Recently I traveled to Montreal to attend the Rogers cup. I have followed tennis for a few years and had attended the Rogers Cup finals last year in Toronto to see Nadal take the win. This year in Montreal Lindsay Los and I attended the third round of the Cup. It started with an evening dinner at a downtown restaurant where in addition to seeing the Bryan brothers walking by, Andy Murray (eventual winner of the tournament) came to eat at the same place as us! After sneaking quick looks at him on unnecessary washroom trips we were excited for morning rounds. The next day we headed to the third round of the tournament. 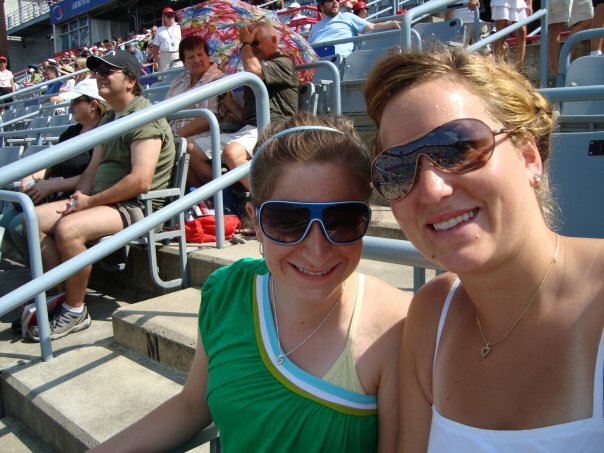 We sat in the sun all day and watched three matches with notable players such as Andy Roddick, Fernando Verdasco, Novak Djokovic and Rafael Nadal. It was incredibly motivating to see so many players at the top of there game. This event was exhilarating and it reminded me of other athletic events and talks that have motivated me throughout my life. I remember in High school Canadian Wrestler Daniel Igali came to talk to us about his life journey leaving Nigeria then coming to Canada and getting a university education while still wrestling. Daniel is in a very different sport to skiing but his values of continuing education while continuing in sport motivated me throughout university. There have been many other events that have motivated me seeing Donovan Bailey run, attending the Cambridge Classic Mile, Training in the rain on the same track as Kelly Vanderbeak and running with marathon legend Ed Whitlock to mention a few. Seeing top athletes and being next to them is not only motivating but lets you know that hey these are just people like me. So next time you have the opportunity to attend a big sporting event or talk go you may be surprised at the motivation it will give you! Yup we were right there getting an autograph! By the way upcoming sporting event Peri’s Fundraiser run be sure to attend if you are not a nurse who is working! Athlete Diary: Training Log - A Fine Balance.